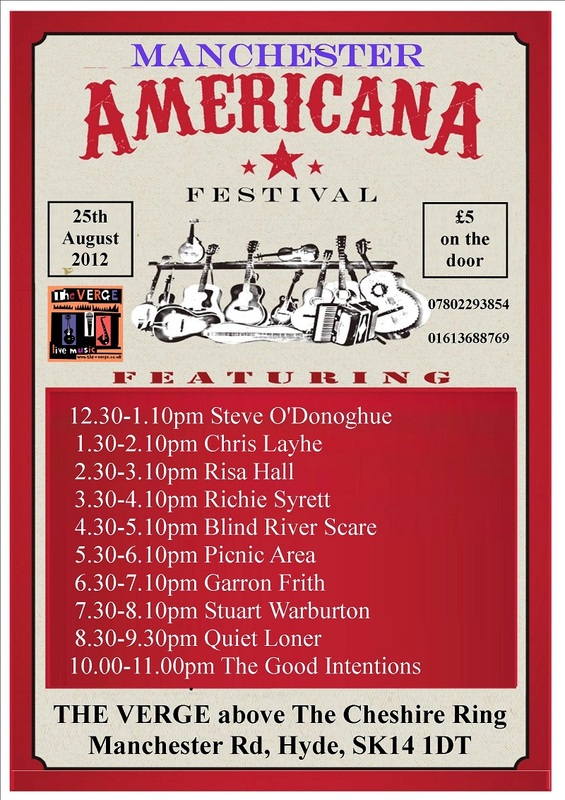 On August 25th The Verge (above the Cheshire Ring) in Hyde hosts the first ever Manchester Americana Festival. The all day event features numerous acts from the North West and beyond, entry is just £5. More details of the line up that features the likes of Richie Syrett, Blind River Scare, Garron Frith and Quiet Loner can be found here.